Professor Nqosa Mahao who has just taken over as the ninth Vice Chancellor comes not far from the University from Mokema village. 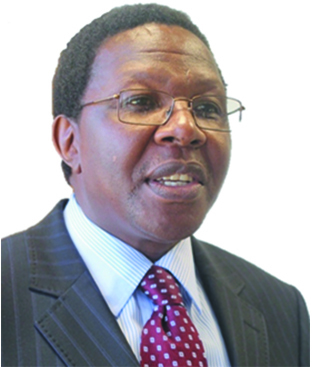 After High School he enrolled at the National University of Lesotho in 1978 completing a Bachelor of Arts in Law in 1982 and a Bachelor of Laws in 1984. While a student at NUL he became President of the Student Representative Council and in that behalf he represented the Student Union at both the University Senate and Council. Upon completing his studies he joined the Faculty of Law after a short stint at as a Research Assistant at the Institute of Southern African Studies. He completed a Masters of Laws at the University of Edinburgh and later a Doctor of Laws at the University of Western Cape. Subsequently he enrolled and completed a Postgraduate Diploma in Conciliation and Arbitration with a consortium of Universities under the auspices of the International Labour Organisation. Prof. Mahao has also undergone numerous specialised training courses offered by various Universities and Organisations. Collectively the training opportunities bequeathed him with a range of critical skills in strategic envisioning, change management, staff motivation, business management, essential interpersonal skills as well as the ability to make critical decisions and to cope with stressful situations. He has extensive managerial and leadership experience spanning more than seventeen years having been Head of Department at NUL for two terms between 1996 and 1999 and Pro-Vice Chancellor at NUL from 2001 to 2003. He has also served as Dean at Universities as diverse as NUL, University of North West, University of South Africa and University of the Witwatersrand. He is widely published in constitutional law and jurisprudence. The Vice Chancellor is the Chief Academic and Administrative Officer of the University and initiates and implements the institutional strategies on all key issues affecting the university. The Vice Chancellor is thus the chief strategist for the University, coordinating academic, administrative, corporative, financial, human resources and physical plans in the development of the institution. The Vice Chancellor provides leadership to Management Team responsible for the academic, financial, administrative, public relations functions of the University and ensures that each performs to the expected level of excellence and promotion of good order throughout the institution. The Vice Chancellor assisted by the Pro-Vice Chancellor heads a Management Team made up of the Registrar; the Bursar; Librarian; Dean of Students Affairs; and Directors of Human Resources; and Communications and Marketing. The technology provision and services (ICT) is under the Vice Chancellor. The section deals with all planning, development and maintenance of the technology of the university. The University also has an audit function which is headed by the Chief Internal Auditor. The Chief Internal Auditor reports to the Audit Committee for its work and to the Vice Chancellor on administrative issues. The Vice Chancellor is an ex officio member of the University Council and Chairman of Senate.